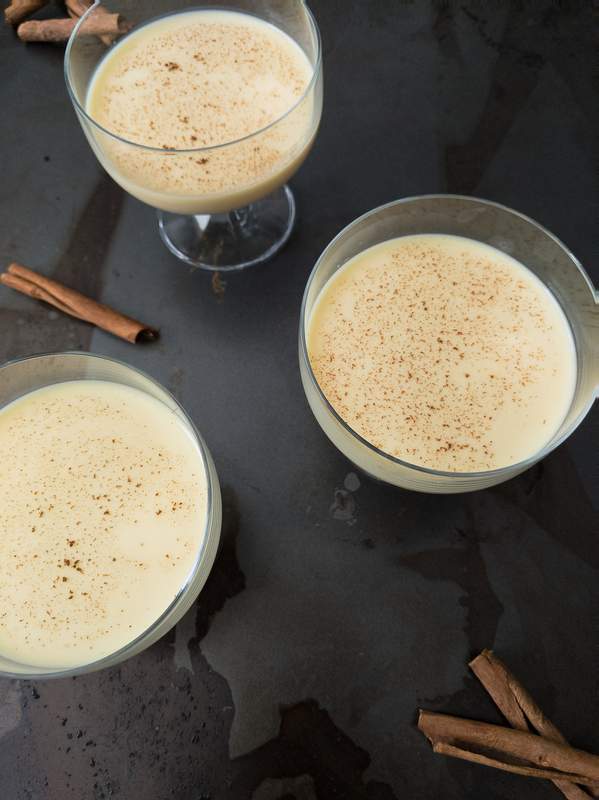 Crema de vie is a Cuban eggnog recipe and great way to spice things up at Christmas. I’ve never spent Christmas in Cuba. This year I’m staying in Havana until December 19th then heading home to the Maritimes for Christmas for traditional goodies like my Nanny’s Christmas cherry balls. But I’m hoping to catch some of the festivities and I’ve been told it’s possible to find crema de vie well in advance. The crema de vie cocktail was one of the things I was looking forward to most. There are so many Cuban cocktails, but this is one is most common at Christmas and New Year’s Eve. I couldn’t wait so I asked my friend for a crema de vie recipe in hopes I could master it in advance! Also known as Creme de Vie. Although it literally translates to cream of life – it’s a bit of a peculiar name because crema is Spanish and vie is French. But Cubans pronounce it crem-a deh vee-eh. How this happened I have no idea. The best way to describe it is Cuban eggnog. 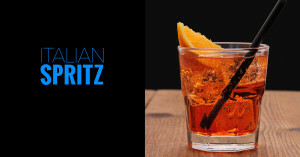 It is served as an aperitif after dinner, in either shot glasses or small stemmed glasses. 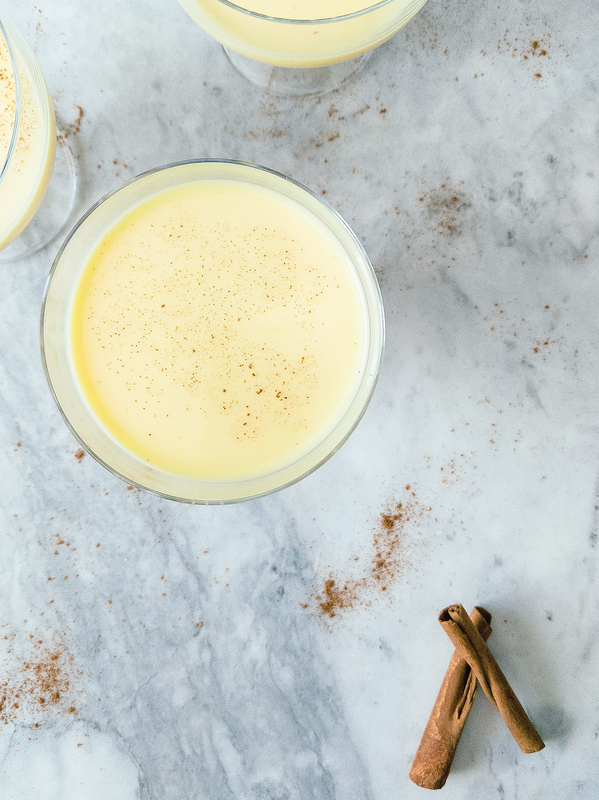 Eggnog first appeared in England in the late 1800s when it was common to drink warm milk and eggs during cold weather, although often with brandy or sherry. 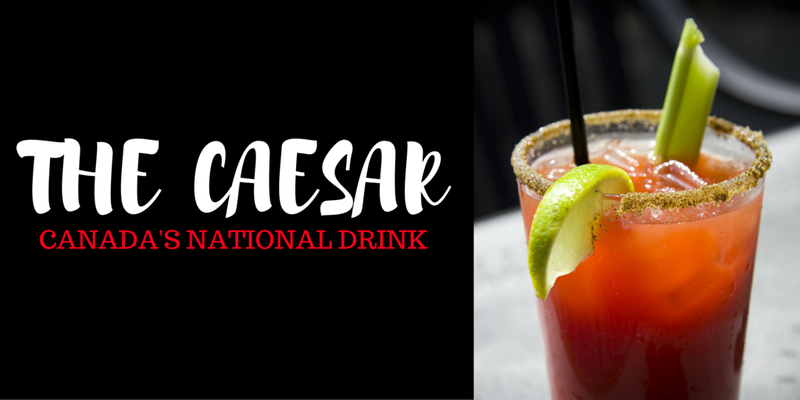 It’s most likely that the Cuban drink emerged from the Spanish invaders adding Cuban rum to their local nog drink. It is also likely why similar drinks exist in other Caribbean countries like the cremasse in Haiti, coquito in Puerto Rico and rompope in Mexico as well as Christmas in Ecuador. While each one varies slightly they all have a base of egg, dairy, spirit and sugar. 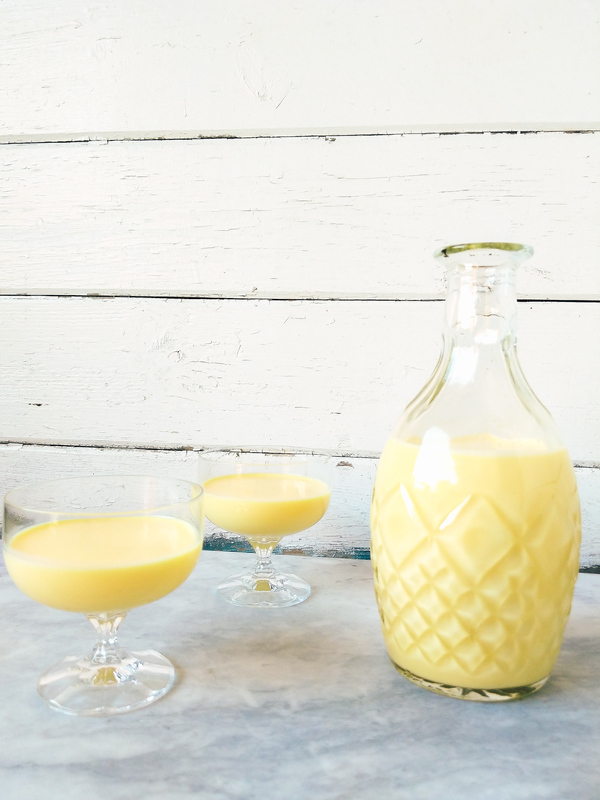 Crema de vie is a type of eggnog that is made during Christmas. It is often given as a present in a decorative bottle. Interestingly, Christmas only became an official holiday in Cuba in 1995 just before the Pope visited. And during the holidays family is most important as is the food. Even at New Years, many tourists are confused as to why there’s no big party and that’s because most Cubans will stay at home instead of going out. Cubans approach drinking in a way that I haven’t really experienced in other countries. It’s much more common to go out and order a bottle to share. And if you have a bottle of rum at your house it’s only polite to ask friends dropping in (and they do drop in often) if they’d like a drink. That’s what made me so curious about this Cuban eggnog, not so much the actual recipe but how it’s shared during the holidays. If you’ve ever been to Cuba you know that Cubans have a sweeeeeeeeeeeeet tooth. Everything from Cuba Libres to Cuban coffee has far more sugar than you were expecting. Crema de vie is no different as its ingredients include a substantial amount of sugar AND sweetened condensed milk. It also includes rum, which I think is much needed to cut the sugar – even though ironically rum is made from sugarcane. You can use whatever brand of rum you like white or dark. I think a spiced rum adds a nice touch. In Miami, the exiled Cubans are loyal to Bacardi rum, which was also exiled after the revolution. But for my crema de vie I’m using Havana Club as that’s what I often have at my apartment in Havana. While this recipe can be easily made as a virgin cocktail it does contains raw eggs. It is not recommended that young children or pregnant women consume raw eggs and you should always use the freshest eggs you can find.. Simple syrup sounds intimidating but really it’s quite easy…or rather simple. Over medium-low heat put equal parts of water and white sugar into a saucepan and stir. Once the sugar has dissolved into the water remove from the heat and let cool. Easy peasy! Over medium-low heat put equal parts of water and white sugar into a saucepan and stir. Once the sugar has dissolved into the water remove from the heat and let cool. In a blender, gently mix eggs. Add evaporated milk and condensed milk and gently blend until smooth. Add simple syrup, vanilla and rum and gently blend until mixed through. The key to this recipe is low and slow with the blender. You want to mix it thoroughly but it’s not necessary to beat the ingredients. Crema de Vie tastes better after a few days of making. Shake bottle vigorously before serving so it’s a bit frothy. Some people swear it lasts months as the rum acts as a preservative for the eggs. While people have been drinking crema de vie Cubana for generations I haven’t and I don’t want to risk it. 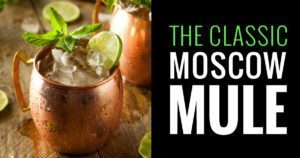 This makes a large enough batch to take to a party but leave with an empty bottle. 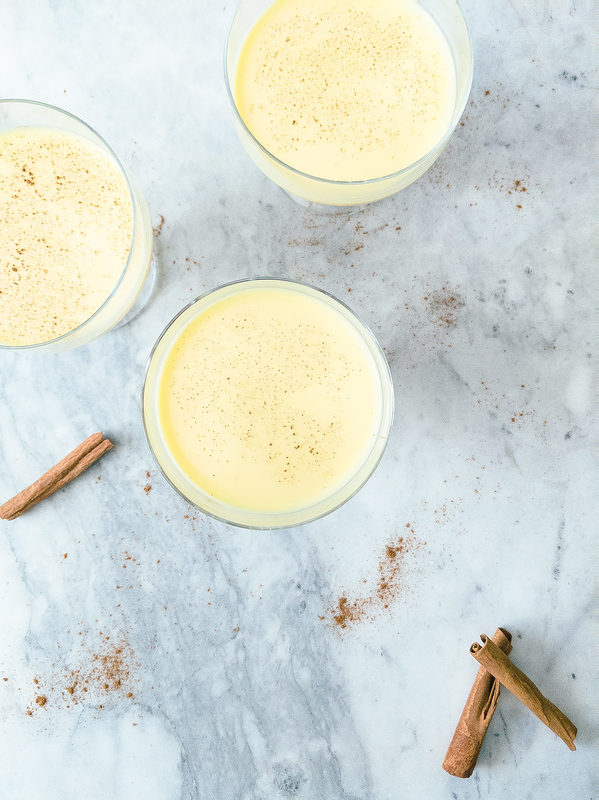 Have you had Cuban eggnog before? If so let me know if my crema de vie recipe is similar to yours! I can’t find the recipe for the creme de vie any where on this page. Just under “how to make a simple syrup” you can find the full recipe.